When heading into the season of sunshine, checking your roof for any potential maintenance procedures is probably the furthest thing from your mind. However, as part of regular home maintenance, it is highly recommended to perform visual inspections of your roof at least once a year. Smart homeowners regularly check their roofs before major seasonal changes, such as winter and summer. 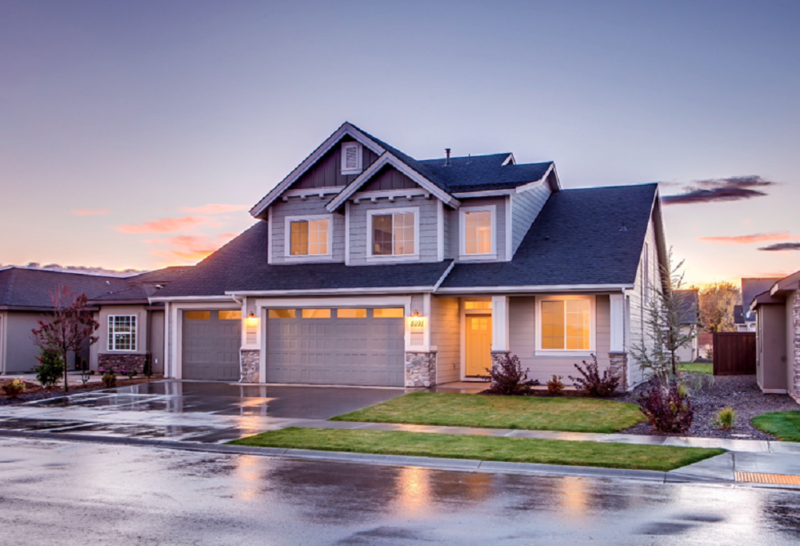 As your roof gets closer to the end of its warranty, it is best practice to visually check your roof up to twice a year. 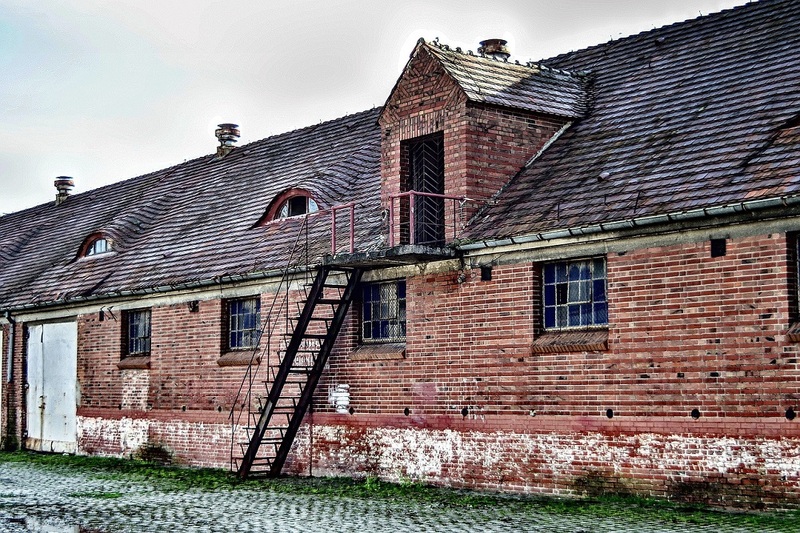 Roofing experts, Custom Home Remodeling & Roofing, Inc., recommend checking out the following areas when you conduct a visual surveillance. If you can, conduct a visual check after extreme weather, such as severe rainfall, strong winds, or a heavy snow/ice storm. Noticing changes in appearance as soon as possible can save you in the long run, and prevent more problems from developing. When checking your roof surface, look for missing, cracked, warped, loose, or rotten shingles or tiles. If you notice anything out of the ordinary, such as an exposed nail in a shingle or excessive granules built up at the base of your downspouts, you’re seeing rof damage that is easily fixable. Any moss, mold, standing water, or debris on the roof surface should be noted and removed. These are signs that your roof needs some attention before a serious problem occurs. If you are not sure what something is that is on your roof, it is best to call a roofer to examine it. Do not touch it or climb on the roof yourself to examine it. As ultraviolet rays deteriorate the condition of your roof and panels, rusting can occur. When you see signs of rust, it is important to call a roof for an inspection. Rusting on roof panels — the metal pieces around the chimney area and vent pipes — indicate damage that should be examined immediately. If not corrected, water can start seeping through the rusted cracks and gaps in the metal panels following rain and snow storms. This type of water damage can lead to contamination and rot — which is a more serious problem to remove from your home. Branches extending over your roof can lead to a myriad of issues. By trimming back tree branches, you are reducing the number of leaves that will clog your gutters and drains. 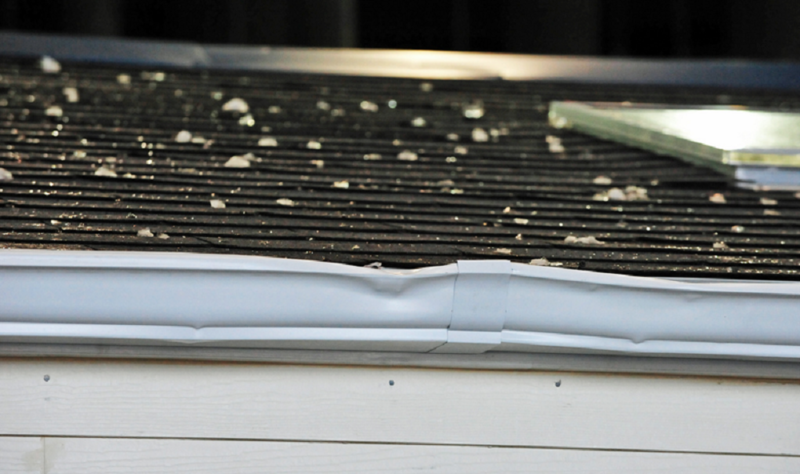 Mitigate the likelihood of exterior damage following extreme weather, and decrease access to your roof for squirrels and rodents, by clearing the area surrounding your roof. If you have a complex structure, or a large number of trees to clear, you may want to reach out to a professional to take care of this maintenance project. Cleaning the gutters is everyone’s least favorite homeowner responsibility, but conducting regular maintenance can save you big time in the long run. Clogged gutters or drains result in a water backup that pushes the water overflow into other areas of the home, leading to water damage. 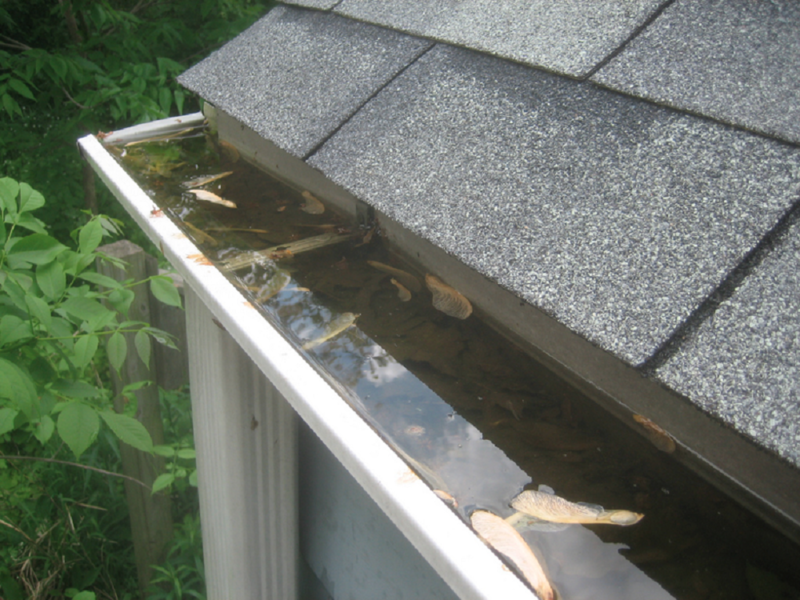 Routinely clearing out the gutters and water drains can help prevent detrimental water damage from occurring. To effectively clean your gutters and drains, remove the blockage and then wash out leftover debris using the water hose. While you are at it, take this opportunity to note where the water flows. Drains should be flowing away from the house, and not back towards your home’s foundation. Proper air filtration can prevent condensation from settling into your home. Improper installation of HVAC systems, as well as kitchen and bathroom exhaust fans can lead to moisture build up. The moisture develops and collects by the attic and slowly causing damage. To check ventilation effectiveness, start by comparing monthly bills to determine if a spike in usage or price denotes a physical issue or malfunction with the system. When all else fails, or if you encounter a problem that you don’t have the answer to, schedule a roofing inspection. 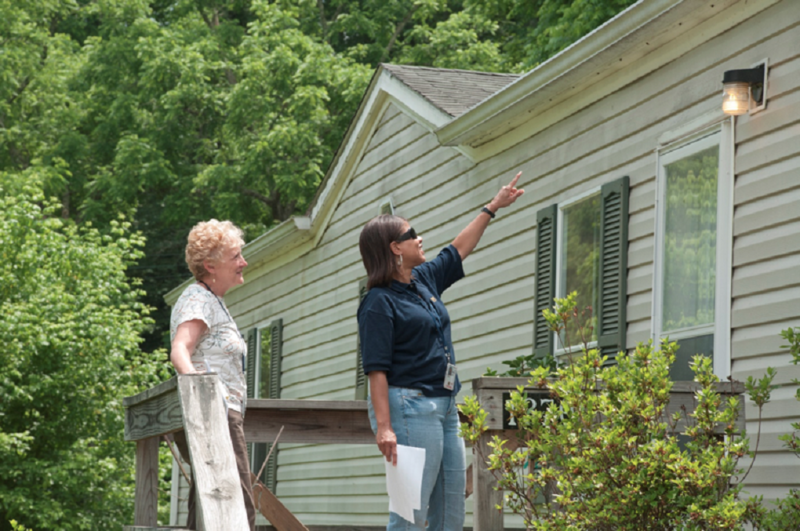 Roofing experts can quickly identify issues before they become larger ones. If you notice a leak, dampness, mildew, or a musty smell anywhere in your home that has no immediate and obvious source, please call a roofer for an immediate inspection of your roof. Many roofing companies even offer free inspections! Getting serious about roof safety is no joke, and checks should be performed at least once a year. Take back control of your home’s safety by keeping your home, and everything in it, protected. Reasons to Invest in Premium Roller Shutters for your Home!